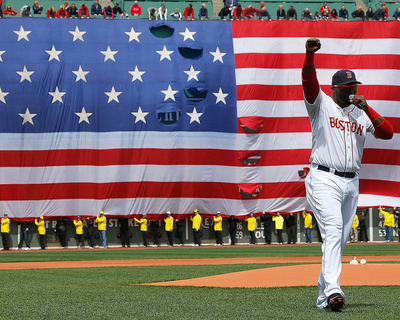 The 3x World Series Champion, David Ortiz, announced his plans to retire after the 2016 season. In honor of his achievements the Boston Red Sox painted No. 34 on the grass of both baselines at JetBlue Park during the Spring Training game. The city of Fort Myers (Florida) named a road after him called “David Ortiz Way.” After the baseball match, Ortiz was whisked away from the field in a customized golf cart featuring the colors of the Dominican Republic flag. As Ortiz plays in other cities, the sports world will shower Ortiz with more gifts and love to celebrate his 20-season tenure with the MLB.